/ Comments Off on The Talented Miss Essie Davis Wears Mary-Kyri Shoes. Essie Davis A True Aussie Talent. Sometimes you come across an amazing talent, one that is almost kept underground and only in the media for the right reasons opposed to the wrong. This is the first thing that sprung to mind when I was asked to supply shoes to the very beautiful and talented Australian actress Essie Davis. You may know her from the Matrix Revolutions or Miss Phryne Fisher in Miss Fisher’s Murder Mysteries on ABC. I know her from the incredibly compelling 2014 Australian horror film produced by Causeway Films and directed by Jennifer Kent, ‘The Babadook’. I was truly honoured when approached by a fabulous Australian stylist to dress Essie for her promotional photo shoots and press tour for ‘The Babadook’. 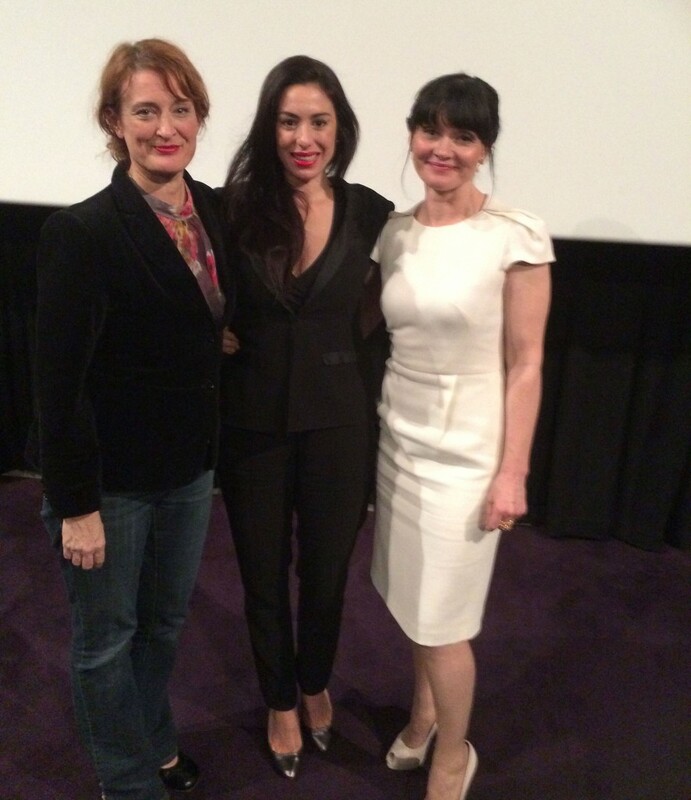 Jennifer Kent, Mary-Kyri and Essie Davis Wearing Mary-Kyri Shoes. The Babadook Screening. The entire movie was filmed in Adelaide, my home town, so I was ecstatic and graciously accepted VIP tickets offered by Essie to attend the premiere / Q & A in Adelaide. I really was not sure what the movie was about, my attendance was to support Essie, Adelaide and Australian talent. The movie dives into the life of a widowed woman, Ameila (Essie Davis) struggling with the sudden, violent death of her husband. Her son is plagued by sightings of monsters, one being the sinister Babadook. Shortly into the movie I found myself totally engulfed in Essie’s incredible acting abilities. Hands down world class talent and I wondered, ‘why is she not up there on an international level with the other great Australian names such as Cate Blanchett?’ She is definitely just as brilliant and I must say she is now one of my very favourites. I truly do believe people will be seeing her name in lights all over the place once the Babadook screens world wide. To the very beautiful Essie Davis, I am always blessed to meet gifted, strong, unique, grounded women such as yourself. I am exceptionally honoured to have you wearing Mary-Kyri shoes and I look forward to many more years of a supportive relationship between us! “Thank you for the pleasure and loan of your beautiful shoes! What a privilege to wear them. Thank you for also coming to our Adelaide premiere of The Babadook”, Essie Davis. See images below of Essie Davis and Mary-Kyri wearing Mary-Kyri Shoes during the promotional tour of the Babadook. 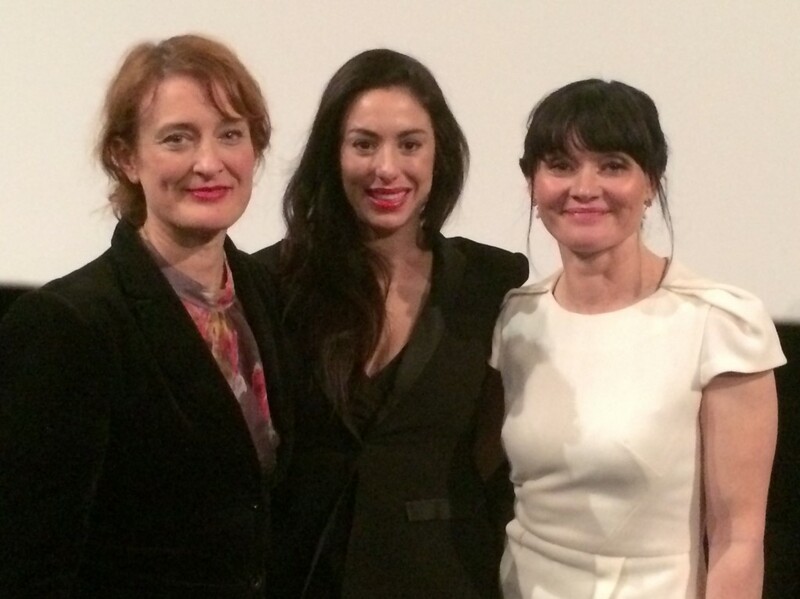 Jennifer Kent, Mary-Kyri and Essie Davis. The Babadook Screening.